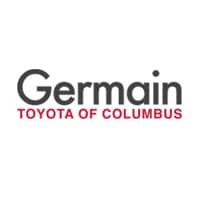 Germain Toyota of Columbus is proud to offer many attractive offers and incentives that can have you driving a new Toyota quality vehicle at substantial savings. These are brand new Toyota models that can be financed or leased on generous terms. Toyota vehicles are famous for their dependability, value and long-term resale value. Now you can get more vehicle for your money by taking advantage of the Toyota lease offers, financing offers and incentives at Germain Toyota. Targeted incentives are aimed at specific groups of consumers who qualify for great special deals. Incentives are available to loyal lessees who can save money on new leases. We also offer targeted cash incentives to recent college graduates and to members of the U.S. military that can save you $750, $1,000 or more. Many of our new vehicles come with factory cash incentives that can save everyone $500 or more on the purchase of a new Toyota. This customer cash can be used to reduce your down-payment, making purchasing easier on your wallet. Our dealership has Toyota lease offers with reduced down payments and/or monthly payments for terms of 24 or 36 months. That’s right, you can get a lease for as little as two years, a rare deal in today’s market. Leasing lets you spend less, because you are financing only a portion of the vehicle’s selling price, and that means you pay less sales tax as well. At lease end, simply return the car and avoid trade-in hassles, or buy it for the predetermined price. Our lease offers give you meaningful savings while allowing you to drive the latest Toyota vehicles. If you prefer to own, Germain Toyota has great financing offers with reduced interest rates. We have financing offers that reward all consumers, whether you have top-tier or less-than-perfect credit. We invite you to take advantage of the many ways to save money when you shop at Germain Toyota in Columbus Ohio. You’ll love our selection and our friendly customer service, so come in today and start saving!